Haunted Mountain is a spooky, lantern-lit Ghost Walk up the slopes of Mount Royal. Beginning in Montreal’s Plateau neighborhood, the ramble visits various haunted sites on the mountain, including several locations where ghosts have actually been sighted. A theatrical guide (a professional actor and storyteller) will regale guests with ghost stories, mysteries and legends about Mount Royal, including haunted hospitals, abandoned castles, cemeteries teeming with undead spirits, and all sorts of paranormal activities on the mountain. 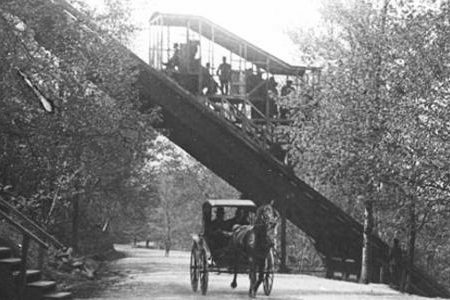 Visitors will learn about the place of Mount Royal in Montreal’s history and lore, including the legend of the cross, the ghost of l’Esplanade Street, the child-victims of the Alan Memorial Institute’s brainwashing experiments, and the tragic tale of Jack McLean and the Haunted Funicular. ​Guests will also visit Simon McTavish’s forgotten tomb, recently disturbed by archaeologists digging into the mountain where his earthly remains lie. 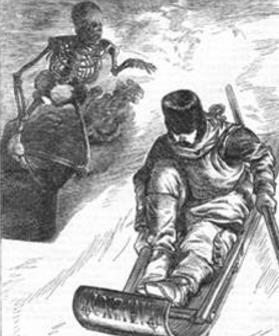 The angry fur baron’s ghost is known to terrify people – by tobogganing at high speeds down the slopes of the mountain – in his own coffin! Haunted Mountain aims to satisfy a taste for local history, spine-tingling ghost stories and an unforgettable ramble on the slopes of Mount Royal! 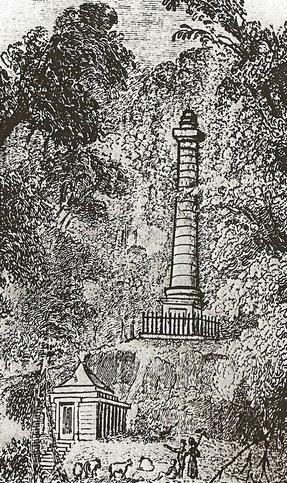 ​The Haunted Mountain Ghost Walk begins at Place Fletcher’s Field in Jeanne-Mance Park. Guests are advised to wear sturdy walking shoes and to bring a flashlight and a camera. The tour is approximately 90 minutes and finishes at the top of Peel Street and Pine Avenue. Please be ready to depart 10 minutes before the tour starts. Walking from Mount Royal Metro: Turn left and walk west down Mount Royal Avenue all the way to St. Laurent Boulevard. Turn left and walk south to Rachel Street. Turn right and walk west on Rachel Street until you arrive at the entrance to Jeanne-Mance Park. Keep walking straight on the path until you arrive at Place Fletcher’s Field (up the stairs from the public bathroom). Bus from metro Place des Arts: Take the 80 bus north on Park Avenue and get off at the stop opposite the statue Sir-George-Étienne-Cartier. 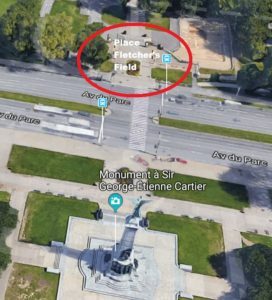 Place Fletcher’s Field is the plaza above the public bathrooms. Bus from Metro Parc: Take the 80 bus south on Park Avenue and get off at the stop with the statue of Sir-George-Étienne-Cartier. Wait for the light and cross Parc Avenue. Place Fletcher’s Field is the plaza above the public bathroom.